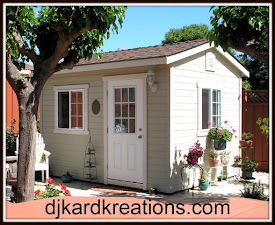 djkardkreations: We Have Deer, But Where Is Santa? We Have Deer, But Where Is Santa? And we have RAIN!!! Thank you all for your prayers! The rain will help the weary firefighters put out the remaining fires, but it will make things difficult in many ways for the search teams and the evacuees, so people still need your prayers. On the other hand, the rain will clean the horribly unhealthy air we've had for two weeks, and it will give the poor parched and dusty plants and trees a drink and a bath. Who doesn't love that? 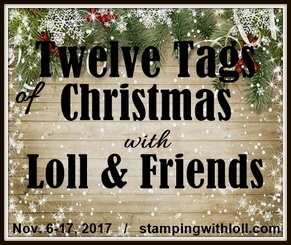 That's what I'll be doing later on today after prepping for Thanksgiving tomorrow, but first I wanted to write this post before the day gets away. I used a NBUS "Playful Deer Stitched Frame" from Poppystamps for these cards. Behind the deer die are snippets of Yupo paper smooched with alcoholic inks. 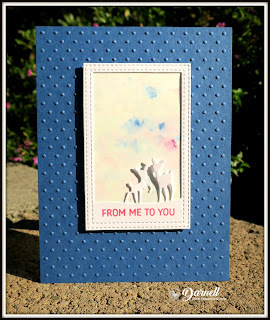 The whole shebang was popped up on a colored card base embossed with a dotty (read snowy) embossing folder. 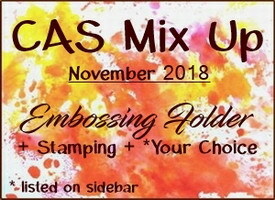 CAS Mix Up: Embossing folder, stamping, die-cutting, alcohol inks. Note: Instead of AI Yupo smooched paper, the gold card has a snippet of pp behind the deer. Moving Along With the Times: Winter animals. Simon Says Wednesday: All that glitters is gold. I also have a Santa card. It's interactive in that it requires you to use your imagination! This QACAS card karacks me up. Do you ever wish you had a dollar for every time you've said to your husband or kids, "I feel like I'm invisible!" Well, look, even Santa has days like that! The Stampendus winked hat, boots, and sediment are all NBUS from a cute little stamp store in Indiana. The belt is Washi tape. Cards in Envy: Santa Baby. CAS on Friday: Use Washi tape on your card. And, finally, to you my friends and faithful supporters and commenters, Happy Thanksgiving tomorrow to all who are celebrating and Happy Thursday to all who are not! And, as always, if you don't feel like celebrating either one, extra hugs to you. I'm thankful for all the times we've shared this year and all the inspiration you have given me. I'm also thankful for all the challenges and their design teams for all the work they put into bringing us fun places to share our creativity! Mwah! The bold sediment from Altenew is another NBUS. I was wishing I had backed and offset it with black, but the more I look at it, the more I like that it is camouflaged without being camouflaged, if you know what I mean. I cut it from a snippet of the same stencil monoprinting you have seen me use on other cards recently. The ribbon is from SU. Hi Darnell, The cards are fab. Glad you have rain. Hope it helps more than hinders. Going to be a long time before a lot of people get back to even a remotely normal routine. 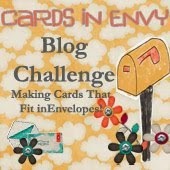 Another post with a gorgeous selection of cards, especially love the dotty background ones. Oh what a wonderful collection of cards, the rain (or the wodka) is obviously good for the crafting mojo. It's hard to be creative when you are worried about friends and family, isn't it? Your unintentionally camouflaged sediment in the final card is fascinating. Great to hear you have rain, despite that there will be some down sides to it! The cards are so delicate and the design of the backgrounds really great. I'm glad it rains. We live in a forest and in this hot and dry summer there were several forest fires. A fire was only 15 km away from us. The firefighters are our very special heroes. Fabulous cards, Darnell. I like that you share a variety! The invisible Santa is very fun and the camo greeting looks great, too. I hope you get just enough rain to get the benefits from it and not too much to cause another catastrophe. Happy, happy Thanksgiving to you and your family. I so appreciate you and all that you do and share. Happy hugs! Hi Darnell! Your Santa card cracked me up! Yes there are times I feel invisible too. Thanks for joining us at Cards in Envy and have a Happy Thanksgiving! Love the design of the deers cards, and they are so beautiful with differents colours! Santa's card makes me giggling :D and the last one is very sweet! Love little deer frame cards. It works in so many colors. Santa karacks me up too. Cute. So glad you are having a cleansing rain. Prayers are with all of those who have lost family, homes and everything in the fires. Oh Darnell, your card set is so beautiful !! I love them, especially the first card and this amazing background that looks like a glow. Wonderful cards. And I love the card from Santa, it looks like Santa Claus went to sleep and put down his Santa's accessories on the shelf. Cool! And the last card is a real masterpiece of mind and spirit! I love this sentiment and the lack of black makes it more subtle. Darnell, I'm also grateful that you're here for us. I adore You and thank God for letting me meet you on my path. Happy Thanksgiving Day! This is so cute with those sweet little deer. I love them all but the gold really caught my eye. I love what you did with the Santa card! That is so fun to make it interactive. Normally I'm not thankful for rain but in this case it is wonderful! It will be messy but it is so needed. At the least the air should be washed. I'm sending you wishes for a wonderful Thanksgiving and I am so thankful for your friendship. Have a great day. Your reindeer cards are fabulous, like the background and Santa os too funny.Glad you are getting rain. Happy Thanksgiving. oh how wonderful the rain must be. My heart goes out to all affeccted by such terrible weather that has plighted the area. Can't even imagine how they are coping. Love you wonderful and gorgeous versions of your Winter Animals cards. They look really super in all those different colours. Thank you for joining the MAWTT Challenge my friend. 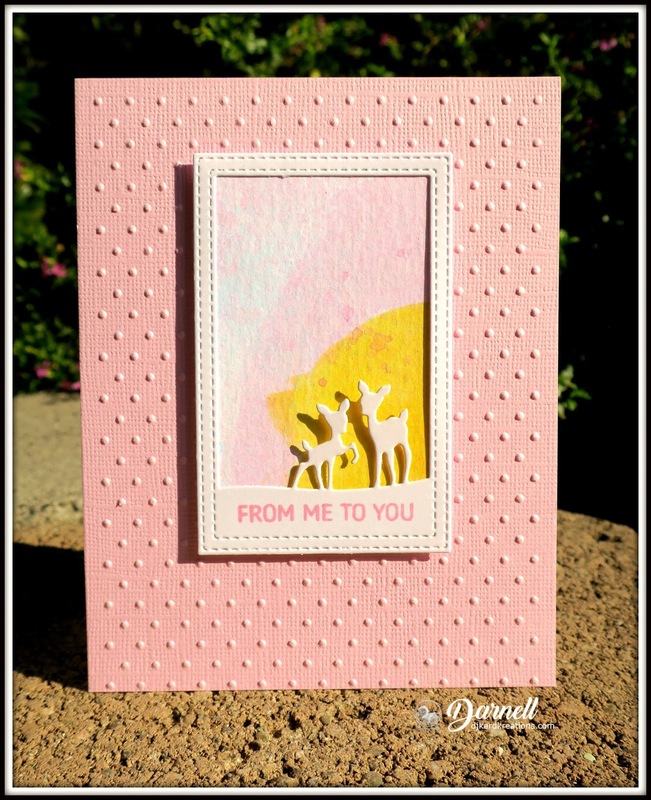 Oh love love love the sweet deer cards - with the yupo paper alcohol inks. I am taking an alcohol ink class next week - anyway - if anything turns out good I will post. Your Santa card cracks me up. Have a blessed Thanksgiving. So glad to hear you have rain - fingers crossed it will help end the dreadful fires. And for you, how nice to have cleaner air to breath. Love all those adorable deer cards - great to see them in all those colour variations. Beautiful AI backgrounds. And such a fun Santa is missing card! The deer cards are just beautiful Darnell, love the different colours and designs. Santa interactive card is such fun, love it and a gorgeous Thanksgiving card too. 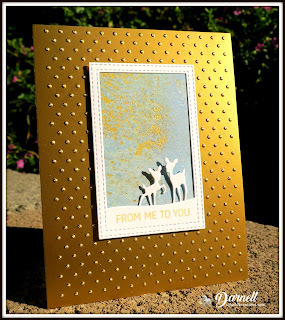 Darnell, the deer cards are so pretty. I love the colors of the first one. And your invisible Santa is just too cute. Thanks for joining us at CAS Christmas. And Happy Thanksgiving. Doing backflips over the coming rain...hasn't reached us yet, but it's on its way. You have been one busy girl...very successfully. Such amazing use of inked backgrounds and patterned paper. Kudos to you. Have a happy day Thursday. Wow! A sevenfer today! I've probably said this before, but I wish I had your knack for QACAS. It looks good on you! Those deer are aptly named as they do look very playful (and cute), and love the semi-camouflaged "you are loved" die. Very pretty! The Santa card is hilarious! Oh, my gosh, so clever! Super cute sentiment for Santa and best Washi tape ever! It's raining here today, too. We need it, but not as badly as down your way. It does bring new problems to the burned areas, and really hoping the folks downhill keep the danger of mudslides in mind. It's a mixed blessing. Enjoy your Thanksgiving! Thank goodness for the rain, my heart goes out to all those families of the 1,000 missing people and I am so thankful that the fire people may get a bit of respite. I am more thankful than you will ever know, for your friendship and wish you and your family a wonderful Thanksgiving Day tomorrow! 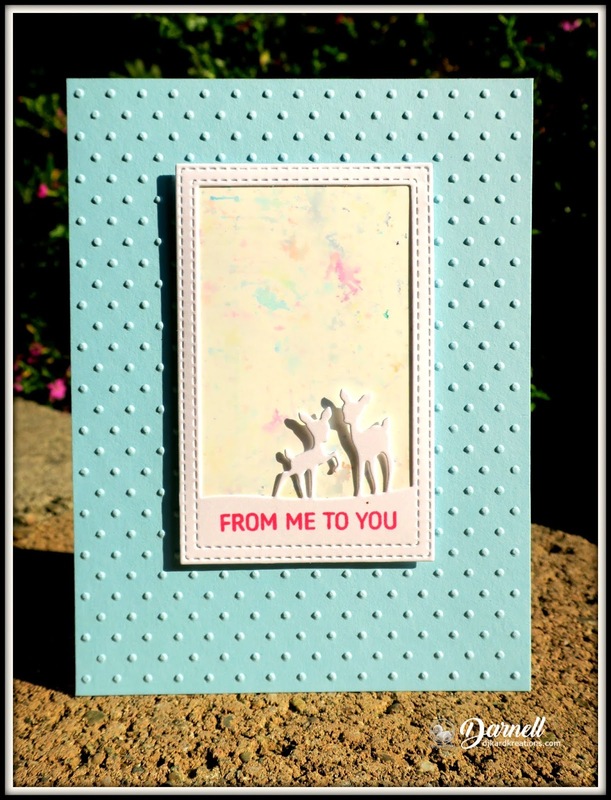 What a fabulous selection of cards and what an adorable die cut image with the frame. The alcohol ink backgrounds and the PP on one of them really do look wonderful. 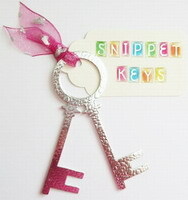 The embossing folder adds great texture. Happy Thanksgiving to you and your family Darnell and to Hammy too. Stunning card to finish off the post with and loving the camouflaging x Looks terrific x. Wonderful array of cards Darnell! Oh, and thanks for sharing with us at CAS Mix Up and CAS Christmas! Hope you have a wonderful Thanksgiving! I'm already giving thanks because I don't have to cook (My daughter will be the cook tomorrow! Fun cards with the deer pair & embossed dots, Darnell- especially love the pink pastel ones! 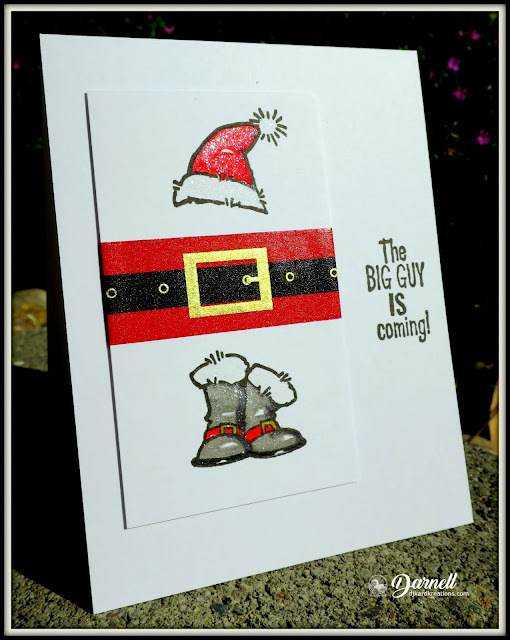 The Santa card with washi belt is a hoot & the camouflaged sentiment looks amazing! So glad you have some cleansing rains out there! Take care & Happy Thanksgiving!! wow Darnell youhave been busy with the cards. The deer seem to be multiplying :) all great cards and love that die. I think a little vodka and orange juice is the perfect way to start a house-cleaning, Thanksgiving prepping day! 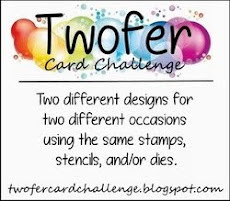 Your cards are fab, and such a good way to use some precious snippets of pretty paper. Happy Thanksgiving to you, too. I hope you get just the right amount of rain--not so much that it causes more problems than it solves. Beautiful dry embossed framing for your sweet deer and pretty backgrounds. What a plus to get several cards made up with the same CAS designs, just different colored framing. So pleased you joined us at CAS Mix Up, my dear friend. 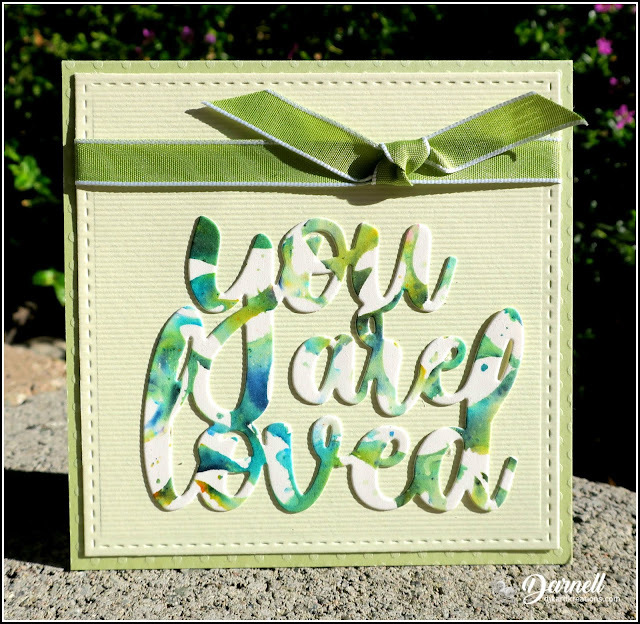 Fun and colorful semi-camouflaged die cut sentiment on your 2nd card. Thank you Dolly for a year full of inspiration, cheerfulness and figuring out what the heck you are saying:-) But the best of 2018 was having you as a special room mate at our retreat!!! We did have some interesting conversations and lots of Big Hugs and...I got to meet Hammy and Mister too:-) Love, Big Hugs and Thankful for our friendship:-) Wishing you a special Thanksgiving. YAY for the rain!! I hope it's enough to clean the air, but not too much to cause any flooding. Fingers crossed that the fires will get damped and the firefighters will be able to finish those nasty fires off! Wonderful cards Dolly! I love that sweet playful framed deer. I think I need to go and buy it for myself! :) Love how you've used colour card stock for your base. Just changing up the colours makes them look so totally different. Great design with the softly coloured AI panels (and DSP) in the background. Your Santa card is adorable! So fun! And your final card using stencil monoprint to die-cut your large sentiment is really beautiful. You've made the best out of your monoprints Dolly! Have a wonderful Thanksgiving with the family. Enjoy your day! Hi Darnell what a lovely collection of cards your deer cards are adirabkem your invisible Santa is brilliant and yes I know what you mean about being invisible..lovely thanksgiving card and hope you have a lovely day. Wonderful post, Darnell! Love the cards. The smooshing technique always brings fascinating results. I hope you have a WONDERFUL Thanksgiving! Happy Thanksgiving to you and yours, Darnell! Good to hear you have rain. Definitely something to be thankful for, given the situation. Hopefully, this will mean that the conditions for the survivors and helpers will improve. Love your sweet cards. It's amazing how different they look when you switch up the colours and backgrounds. Happy Thanksgiving to you and your familly! Darnell, I adore this whole collection. Each so harmonious and CAS. There is a true richness to each one. Art is in the eye of the beholder and your Santa fits the theme Ho Ho Ho! Happy Thanksgiving to you and your loved ones be it family or friend. Thank you for this generous sharing. Oh my, you are such a prolific crafter! Love the framed deer with happy background and snowy texture. Fortunately, Santa is coming to town and brings... rain! That is magical and so good, after difficult times!!! We don't celebrate Thanksgiving here on a specific day, but I guess we all have good reasons to be thankful for. Happy Thanksgiving Darnell! So glad your area has some rain! I love all of your cards! 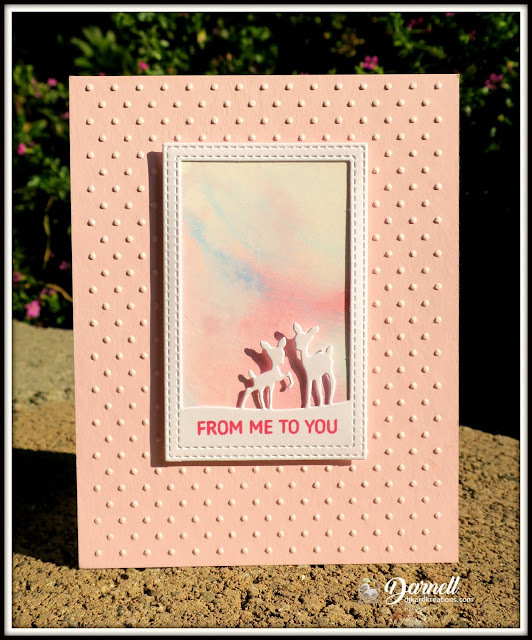 The deer frame cards are so pretty especially with the dreamy backgrounds! So very thankful for our crafty little world and all the support and encouragement you give to me and so many others! Hugs to you! What a wonderful array of cards today. I love those tiny deer and how they look on those gorgeous backgrounds. I'm thankful that I stopped here today because now I know zactly what an interactive card truly is! LOL Hope your Thanksgiving was wonderful! Oh yes, thanks be to God for the rain, that's good news! You've been a busy bee. Just look at all of these amazing cards. Love those sweet little deer. Hope you and your family enjoyed a Happy Thanksgiving! I hope you had a wonderful Thanksgiving with your family, Darnell. I'm so glad to hear that you had long-awaited rain and cleaned the horribly unhealthy air. The whole collection of the deer cards is so pretty! I love the AI smooshed soft background and the white die-cut deer. The Santa card is so imaginative and clever, and the design is fantastic! The stencil monoprint die-cut sentiment is artsy and I love the unintentional camouflage effect! 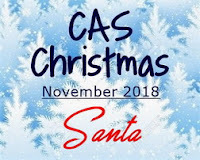 Thank you so much for sharing the unique "invisible" Santa card with us at CAS Christmas! What a stunning array of cards Darnell... Gotta love that Santa one!! It's so cool! I am so happy that you finally got rain... I sent it ages ago you know... Happy Thanksgiving to you and yours... May your day be blessed! Hi Darnell .... what a beautiful collection of cards, you have been busy. Those little deer are just adorable and I love all those gorgeous backgrounds. I hope the rain did some good, and that you and your family had a wonderful Thanksgiving. Hope you had a lovely Thanksgiving, Darnell & so glad you got some rain to clear the air! The PS die is so sweet--love every version! Fun Santa card & love the big sentiment as the focal point! Great collection of cards! I love the way you made the sky look like Northern Lights! Happy rain dance time for so many people! Your card set is delightful as well as the You Are Loved but the invisible Santa is a screamer! Love it!! So glad you're getting rain. I always worry about CA and those horrible fires. 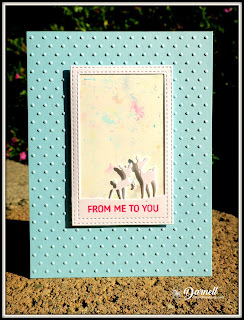 Your cards are lovely...I love that swiss dotted EF and that window die with the deer is so darling. So much good stuff to look at today. Had to crack up at your santa card. Your series featuring the playful deer is so sweet! And the invisible Santa card cracks me up! Absolutely adore the sentiment on the last one! So uplifting! Thank YOU for all the inspiration you provide and all your work in blogland! these are so very nice cards! It's WAY past Thanksgiving so I hope yours was fantastic, Darnell. I'm trying to get through my over 700 emails and I make skip commenting on every one of your posts but you can be assured I'm looking at each and everyone. I love your invisible Santa! Beautiful cards! Thanks for joining us at Cards In Envy!